A letter from 15 Western ambassadors expressing deep concern over China’s detention of some 1 million Muslims in re-education camps has been dismissed by Beijing as hearsay and a violation of the Geneva Convention. The Reuters news agency reported that the letter to the Chinese government, which has not been made public, was signed by 15 ambassadors, including the Canadian, British, French, German, and European Union envoys. Kazakhs say their relatives might have been sent to ‘re-education camps’ in China. The United Nations revealed in August that an estimated 1 million Muslims from Xinjiang, mainly ethnic Uyghurs, were being held in “counterextremism centers” and millions more have been forced into re-education camps. Inmates and relatives say the detainees are forced to renounce their religion and culture while swearing fealty to supreme leader Xi Jinping and the ruling Communist Party. Uyghurs are the largest indigenous community in Xinjiang. The region is also home to ethnic Kazakhs, Kyrgyz, and Tajiks. Chinese Foreign Ministry spokeswoman Hua Chunying said the Western envoys exceeded their diplomatic roles by issuing the letter, telling reporters on Nov. 15 that it would be “problematic” if the diplomats were attempting to put pressure on authorities in Xinjiang. 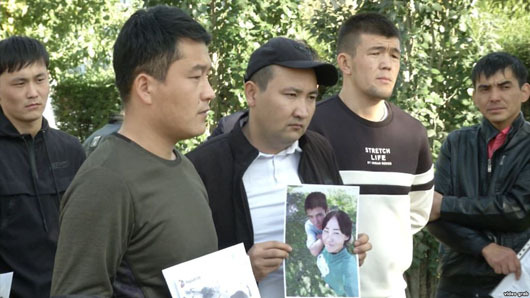 Last month, dozens of ethnic Kazakhs originally from Xinjiang held appealed to German and French officials for help in seeking the release of relatives from camps in China, Radio Free Europe/Radio Liberty (RFE/RL) reported. Also in October, Kazakhstan denied asylum to Sairagul Sauytbay, an ethnic Kazakh Chinese citizen whose court testimony helped expose “reeducation camps” in China. Sauytbay is wanted in China for illegally crossing the border, but a Kazakh court in August refused to allow her extradition, the RFE/RL report said.